Truth, Tie Dyed T-Shirts, & Ice Cream. We’re hanging out with the 6th and 7th graders at our church. 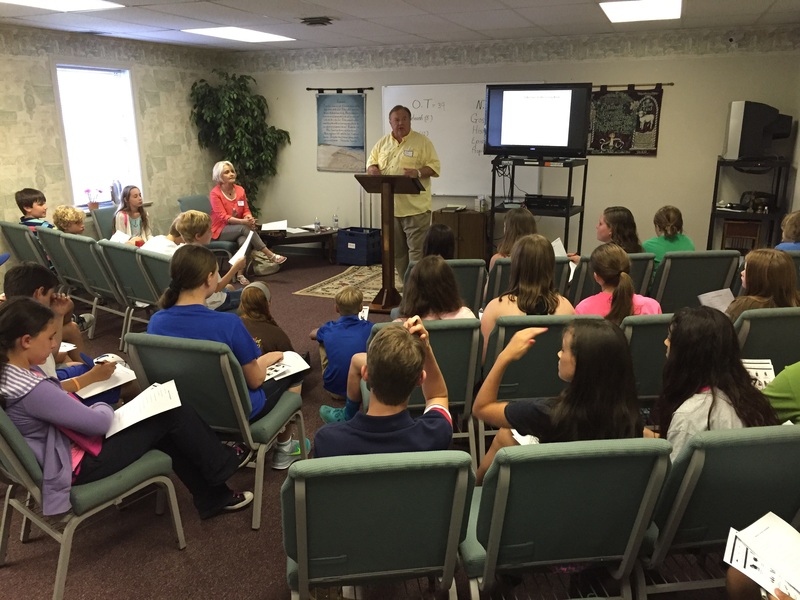 “Summer Shine” VBS started last night at Abba’s House, and Paulette and I have been given the opportunity to teach the 6th and 7th graders. I am looking at this as such a wonderful chance to connect with these young people, glean from their joy and enthusiasm, and sow into them some of what God has imparted to me in my almost 68 years. With all the negative influences we see in society, and the noise that continually attempts to drown out the “still, small voice” of the Holy Spirit, I believe that it is important for those of us who minister to spend time with the generation that is rising, and to assist and encourage parents in establishing a solid spiritual foundation for their children. I believe that this age is the right time for the right Word for these young folks. They are old enough to understand and ask thought-provoking questions; getting a Scriptural mindset that they can take with them into high-school and college — to begin to learn to “take every thought captive to the obedience of Christ” (2 Corinthians 10:5). So Paulette and I are here this week to impart, participate, and have fun with this great group. Teaching, tie-dyeing t-shirts, a chocolate fountain, eating ice cream… there’s lots to do. Along with us, we are welcoming our young friends Joel and Alyssa, a young married couple with a contagious enthusiasm for God, as well as Drew and Abby, a couple of Godly young adults who will share from their individual experiences as well. It’s going to be fun!